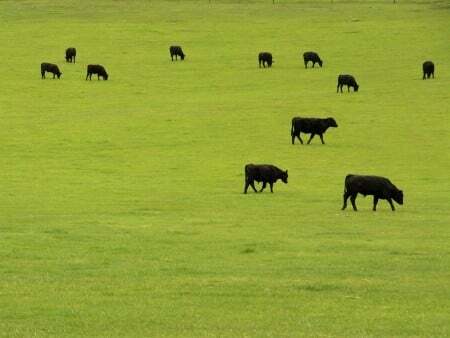 Ohio cattle producers can learn sound management practices and guidelines for beef cattle production during a Beef Quality Assurance training workshop offered June 29 by the College of Food, Agricultural, and Environmental Sciences at The Ohio State University. OSU EXPERTS OFFER BEEF QUALITY ASSURANCE TRAINING WORKSHOP JUNE 29 – Ohio cattle producers can learn sound management practices and guidelines for beef cattle production during a Beef Quality Assurance training workshop offered June 29 by the College of Food, Agricultural, and Environmental Sciences at The Ohio State University. The workshop is targeted toward any cattle producer who is interested in learning proper management techniques to ensure a safe and wholesome beef product for consumers, said John Grimes, beef coordinator for Ohio State University Extension and a member of the OSU Extension Beef Team. OSU Extension is the outreach arm of the college. The training, which be held on a farm at 26450 State Route 104, Circleville, will offer participants live demonstrations of basic quality assurance practices, Grimes said. The program begins with dinner at 6:30 p.m., with the training portion beginning at 7:15 p.m. Registration for the program is required by June 23 by phone at 740-203-3200 or by e-mail at Guthrie.76@osu.edu. The program is free, but participants want Beef Quality Assurance Certification must pay a fee of $20. OHIO FARM BUREAU MEMBERS ASKED TO CONTACT STATE LAWMAKERS – Ohio lawmakers are being asked to make important changes to Ohio’s Current Agricultural Use Value (CAUV) formula. In an alert to its members asking them to contact their state legislators, the Ohio Farm Bureau Federation (OFBF) said the changes will help stem the increases in values and improve the formula’s accuracy. Farm Bureau’s specific requests include a change in the method of calculating the capitalization rate and placing all conservation land at its minimum value. These changes are expected to significantly limit increases in property taxes on farmland revalued in 2015, however, increases of a lower magnitude will likely still be seen. Farm Bureau members are asked to use the organization’s action center by visiting ofbf.org. They can also directly contact both their state representative and state senator. STORM FRONTS INCREASE POTENTIAL FOR POTATO LEAFHOPPER IN OHIO ALFALFA CROPS – With each storm front that races north into Ohio from the Gulf states unleashing torrents of wind and rain from now through the summer, the chance also increases for Buckeye state alfalfa growers to face their crop’s biggest threat — potato leafhoppers. These bright green wedge-shaped insects can cause hopper burn on leaves, which can result in stunted alfalfa plants and can cause a significant economic impact to alfalfa growers, said an entomologist with The Ohio State University’s College of Food, Agricultural, and Environmental Sciences. The damage could cause significant yield loss and impact the plants’ nutritional value, said Andy Michel, an Ohio State University Extension pest expert. PURPLE CORN APPEARING IN SOME FIELDS – Purple corn? Growers who have reported finding corn seedlings in their fields that have turned purple or yellow probably don’t need to panic – the color change is likely just a cosmetic problem that will go away on its own, said an agronomist in the College of Food, Agricultural, and Environmental Sciences at The Ohio State University. But, if the plants don’t change back to their normal color, growers will have to determine if a nutrient deficiency or some other issue may be causing the issue, said Peter Thomison, an Ohio State University Extension agronomist. OSU Extension is the statewide outreach arm of the college. “If your plants stay yellow in hue or are dying, then it may be a serious problem that may call for replanting considerations,” Thomison said. RISK FOR SCAB IS MODERATE TO HIGH FOR SOME OHIO WHEAT GROWERS THIS WEEK – Wheat growers across Ohio whose plants are at or near the flowering growth stage are at a moderate to high risk for Fusarium head blight development, said a wheat expert from the College of Food, Agricultural, and Environmental Sciences at The Ohio State University.